Peter Carey, an Australian novelist, is one of only two authors to have won the Booker Prize twice, for the works Oscar and Lucinda (1988) and True History of the Kelly Gang (2001). 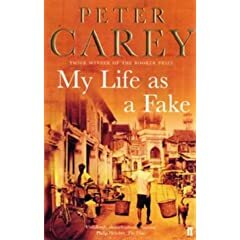 While I have both books on my to-read list, I thought I’d introduce myself to Peter Carey with one of his later books (published in 2004), My Life As A Fake. The premise of My Life As A Fake is based on a real literary hoax in Australia in the 1940s: When Ern Malley, a garage mechanic, died at a young age, his sister sent a bunch of poems written by him to a modernist magazine, hoping to determine if the poems were any good or not. The magazine, Angry Penguin, devoted a whole issue to the works of Malley, as the editor thought they were written by a poet in the same class as Dylan Thomas or WH Auden. The public reaction wasn’t quite what he expected, and later on, it was found out that the editor had been hoaxed by two young poets who were in the Army at that point in time. The two young poets were exhausted of the pretentious intellectuals that defined most of the world around them, and they just wanted to call them out as ‘fakes’ – not real intellects or, real connoisseurs of poetry. Carey’s novel is a complicated fictionalised version of these events, with new characters being drawn in, and a Frankenstien-esque character emerging. When Sarah, the editor of an esteemed poetry publication in England, travels to Malaysia with a friend of her parents (John Slater, a famous poet), she meets Chubb – the hoaxer. Against the warnings of Slater, she speaks to him, and hears his story, hoping to find an epic poem for her magazine, which he put before her on one of their first meetings. In the fictional account, the editor of the magazine kills himself, after coming face to face with Chubb’s monster: McCorkle. While McCorkle originally existed only in Chubb’s head, as the book progresses we find that someone does come forward, insisting he’s McCorkle… and then meets Chubb and accuses him of not giving him a childhood, and then requesting his birth certificate! In fact, the poem Chubb showed Sarah was written by the “true” McCorkle. The story takes both, Chubb and McCorkle to various places, as the creator tries to destroy the monster, who is hell-bent on ruining his life – first by kidnapping his daughter, and then going on an adventure in the Malaysian jungles! The sequence of beautifully described, extremely vivid and extraordinary events, set in Malaysia and Indonesia, with some very colourful characters is surreal, and at times, one does think unnecessary. Yet, it does boil down to Sarah’s patience in return for that one piece of genius which Chubb put before her initially. 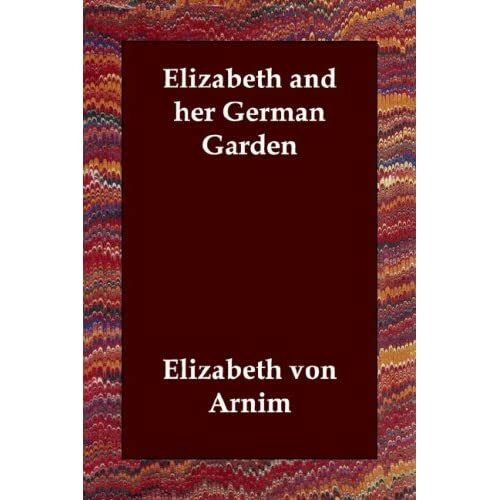 While the story intrigues, my main gripe with the book was that it was very passive. All the events were in the past, and for the most part, Chubb was narrating his story to Sarah. Within his story, another protagonist emerged, and it got increasingly confusing to figure out who was saying what – specially as the editors and the authors decided to forgo the use of double quotes. I had to go back and re-read parts of it, just to keep track of what was going on. As the book progressed, I found I really didn’t care that much as to how things unfolded, and ended up speed reading (skim reading) the last hundred-odd pages. I don’t think this is one of Carey’s better books, although print critics seemed to like it. ‘The History of the Kelly Gang’ is much better and oh ‘Jack Maggs’ is also a great novel to try. I’m hoping to read The History Of Kelly Gang next year. Not heard of Jack Maggs until now, but will keep an eye out for it. It’s my first Carey, so don’t have much to compare to. I have only read Oscar and Lucinda and enjoyed it. I haven’t heard of this one before – perhaps because others didn’t enjoy it? Sorry to hear this was your first experience of his books – I hope you give him another try. I’ve not read Oscar and Lucinda, but it’s definitely still on my list. Most of the reviews I read after I finished this one seemed to indicate that this isn’t his best work…. I have not read this one, but I’m sad it was so disappointing. I read Carey’s True History of the Kelly Gang and just the way he constructed that book- the language, the spelling, etc.- is noteworthy. Even though I didn’t LOVE the story, the writing was excellent. I intend to read True History Of The Kelly Gang next year, as part of the Booker winners challenge. I really hope I enjoy it. The writing and language in My Life As A Fake was brilliant. The only thing is, they didn’t use quotes, which made the book way too confusing.